Fall has arrived and the chill in the air really inspired me to bake today. I was already making Low Carb Butter-Pecan Crème Brulee, for dinner guests tonight and it left me with 4 egg whites. 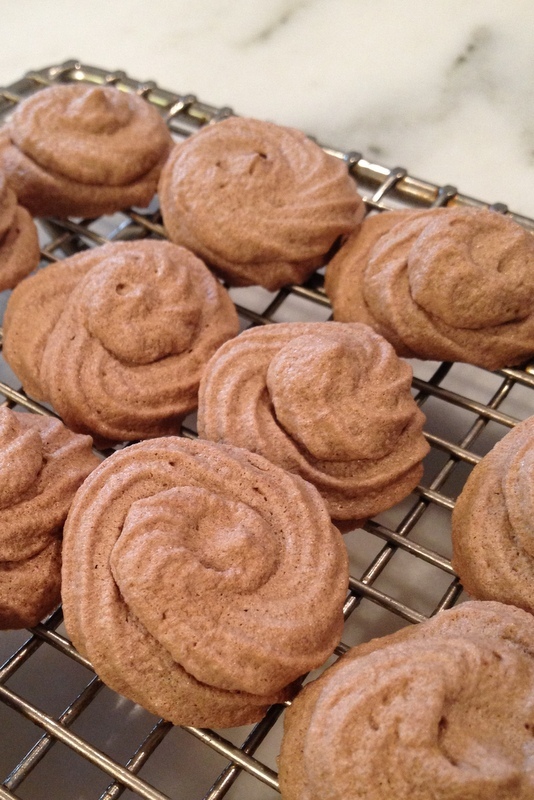 I hated to waste the egg whites, so meringues seemed the perfect choice. 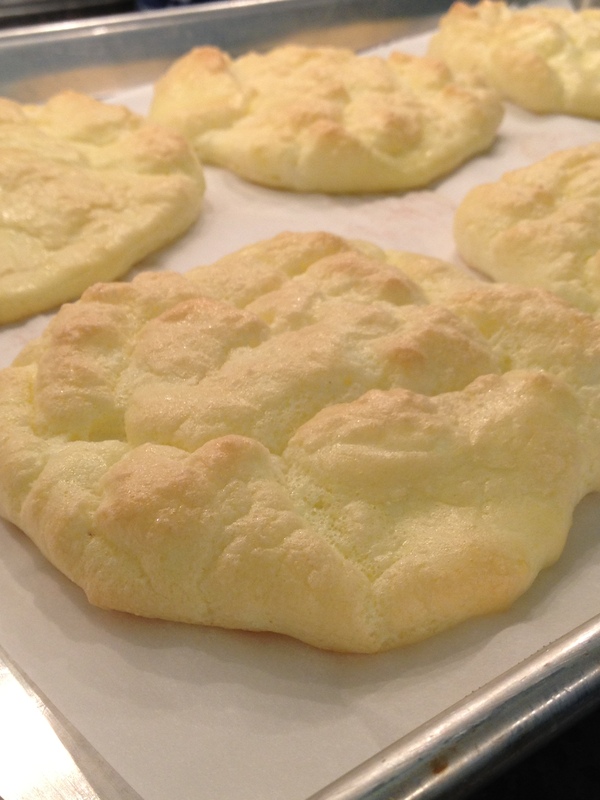 Combine egg whites, cream of tartar and vanilla. Beat this mixture until soft peaks form. Slowly add Splenda; beat til stiff peaks form and looks glossy. 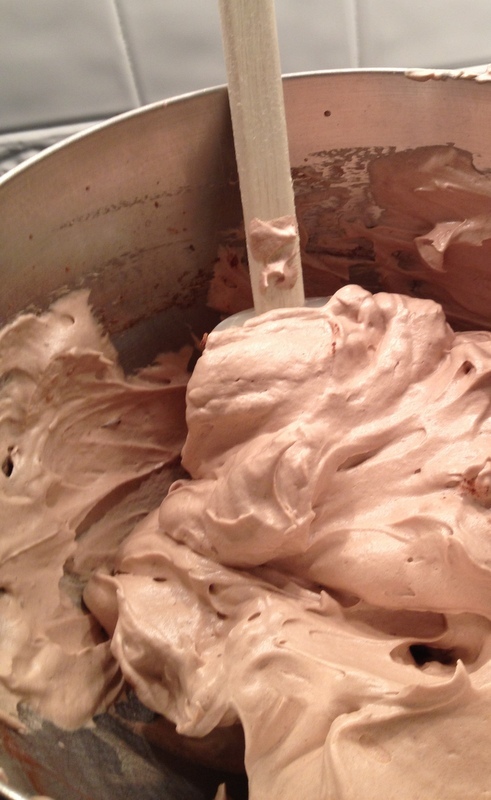 Gently fold in cocoa powder. Using pastry bag with star tip, twirl in small circle to form cookie on a parchment lined baking sheet. Alternatively you may drop by teaspoonfuls onto greased baking sheet. Bake for 30 minutes. Less than 1 carb per cookie. Tip-these may be placed close together on baking sheet as they do not spread. 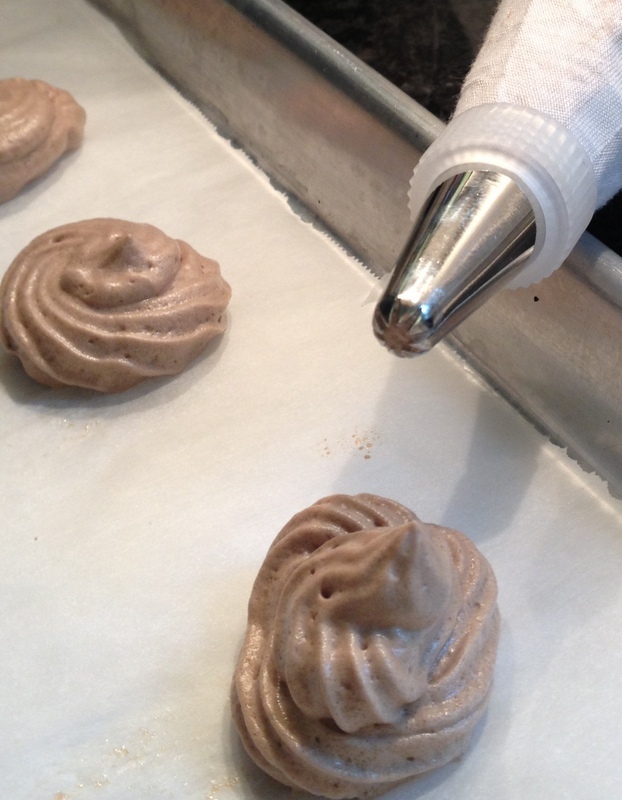 Move along quickly when making these as the meringue tends to deflate! My last batch looked a little flat. I found this recipe for Oopsies while searching online for low carb bread. They remind me of a Gougère. But much quicker to do and no flour or cheese. I suppose with a little fiddling cheese could be added. 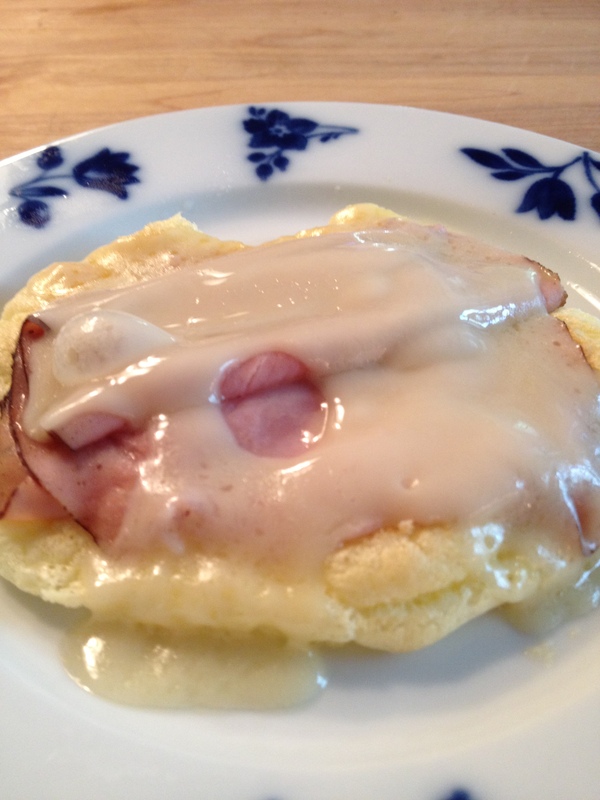 They are very eggy and nothing like bread but it makes a great base for a ham and cheese melt. I think a sweetened version would be easy, add a little splenda to the batter and make one large Oopsie. Spread with whipped cream and berries. Preheat oven to 300 degrees and prepare baking sheet with parchment paper. 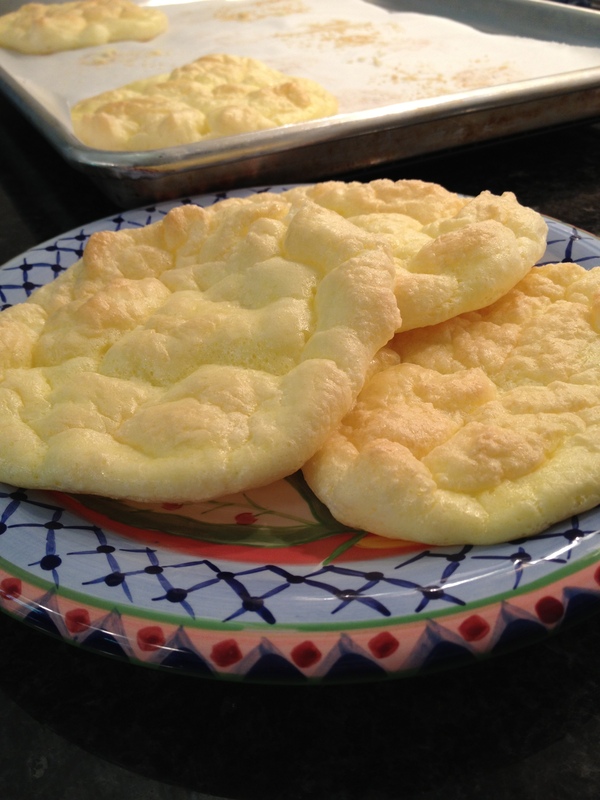 Beat yolks with cream cheese and baking powder until creamy. 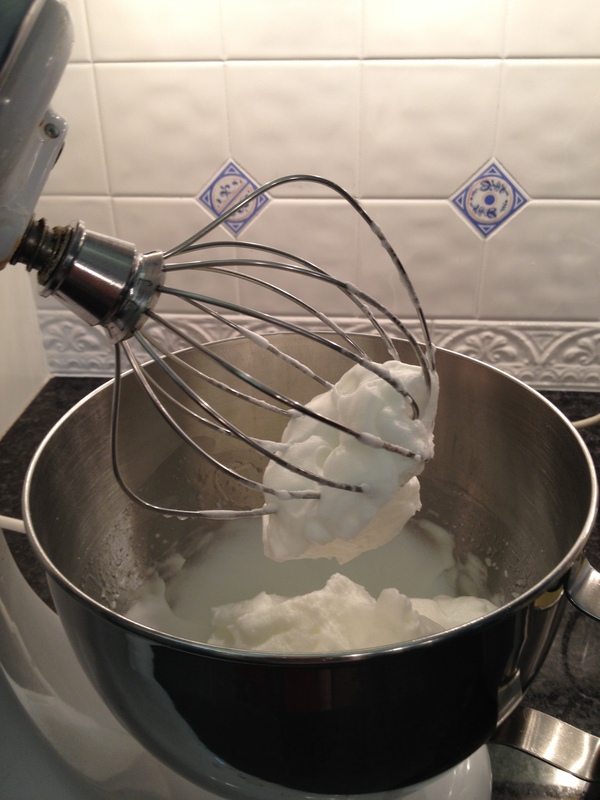 Whip egg whites with pinch of salt until very stiff peaks form. Gently add egg whites into the yolk mixture, taking care not to break down egg whites. Mound 6 separate oopsies on prepared baking sheet spread a little to create a circle. Option-make one large oopsie for a dessert.